Known for selling merchandise for the outdoors, Eastern Mountain Sports sells both name and house brand equipment for almost all outdoor activities. They also offer classes in several outdoor sports. A link to apply for jobs at Eastern Mountain sports is at the bottom of the page. Eastern Mountain Sports was founded in 1967 by Alan McDonough and Roger Furst in Wellesley, Massachusetts. The pair sold in the company in 1976 to The Franklin Mint, after building the biggest outdoor equipment store in New England. Two years later, Warner Communications acquired The Franklin Mint. Both companies were sold a few years later, Eastern Mountain Sports to the American Retail Group. 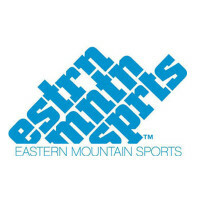 By 2004, Eastern Mountain Sports was sold again to the J.H. Whitney & Company. The company was sold for a final time in 2012 to Versa Capital Management. Currently, Eastern Mountain Sports has sixty-nine stores in twelve states, all in the Northeastern United States. They’re headquartered in Peterborough, New Hampshire, located farther North than many of their stores. They aim to be a trusted brand and store for all people that enjoy spending time outside and doing various activities. Those that have Eastern Mountain Sports careers must care about their community and the environment. This company highly values the environment and preserving it, so every year, in September on the third Tuesday, all the stores are closed until two pm so the staff can participate in local conservation projects. Staff members also get an extra paid day off to do community service. All the Eastern Mountain Sports jobs online are for local stores across the Northeast. The company has a strong belief that they should promote from within. So if you fill out an Eastern Mountain Sports application, you can work your way up to the corporate level, the job application for Store Guides makes this very clear. If there are any corporate jobs, they would probably be advertised internally. A corporate job would also require a move from whatever store you’re located at to New Hampshire. All corporate jobs require intense multitasking and great time management. You must be honest and own up to any mistakes that you make, as honesty and trust to the customers is the most important thing to Eastern Mountain Sports. How old do you have to be to work at Eastern Mountain Sports? Age requirements vary by job. Several jobs require various degrees or experiences. As you fill out an Eastern Mountain Sports application, keep in mind that it is a must that you have a love for the outdoors and are willing to share that love and your knowledge with customers and fellow staff members. As there are several stores across the Northeastern United States, each store will have different hours. Monday through Friday, most stores are open by ten am. Closing hours are heavily varied, as several stores close very early on Fridays. Sundays, every store has reduced hours, often running from eleven to five. Holidays will effect store hours. Floor Supervisor – Having great communication is key as you’ll be selling stock to customers and telling them what will work the best for what they’re looking for. You must have a strong love of the outdoors and try to share that with customers while giving them great customer service. Compensation is roughly $12 an hour. Store Guide – You will create various displays, give merchandise presentations, and move seasonal stock onto the floor. Having good people skills is a must as you’ll be working closely with customers to guide them to what they need or want. Compensation is roughly $10 an hour. Store Manager – Working to push your staff to exceed sales goal while keeping morale high is a must in this position. Leading by example to promote sales and accomplish objectives is key as you lead your store towards being the best. Compensation is over $55,000 a year. Bike Tech – Knowing bikes is mandatory. You will give product recommendations based off of customer needs and repair bikes as needed, making sure to order the proper parts, if the bike needs it. Flexibility is a must, as helping other departments when your department is slow will help push the store towards its sales goals. Compensation is above minimum wage. Associate Buyer – You must know where seasonal products are, as you’ll be ordering from them with vendors and making sure they get to their destination on time. Estimation of the amount of product and knowing which is best for consumers is key for this job as you order seasonal items. Compensation is above minimum wage. Why do you want to work for Eastern Mountain Sports? A very common interview question that you should be prepared for. Speak about what drew you to the company, whether it was the company culture, values, or benefits. What experience do you have? If you have any relevant work experience, highlight it. If you’ve had jobs that are in customer service, make sure to talk about those and use them as examples as to why you are such a great fit for the job you have applied for. Where do you see yourself in the next few years? The interviewer wants to know if you see yourself having a future with the company. When talking about your career expectations, be realistic. Make it clear to the interviewer that you’re willing to take on extra responsibilities and challenges to move up in the company. What outdoor activities are you passionate about? They want to have employees that are knowledgeable about the products they’re selling and can help consumers make the best decision for what they need. Be straightforward as to what you love in the outdoors so that you can be placed in the area of the store where you fit best. How would you guide a customer towards the appropriate gear? Be straightforward in you answer. They want to make sure that you will give the customer your best recommendation for the product that they’re looking for. If you have previous experience in dealing with customers, make sure that you highlight that and use specific examples to show what you would do. How to apply for Eastern Mountain Sports online: start by searching the Eastern Mountain Sports jobs page for the job that you’re looking for in the location that you want. Click the link and read all requirements carefully. Then, scroll down to the bottom of the page and choose to upload a new resume, unless you’ve already applied and have an account with Eastern Mountain Sports. Follow the instructions from there. There is no printable application for Eastern Mountain Sports on their website. Do research on the company and industry before you interview and bring a list of questions with you to the interview about the company. Although several of your questions may be answered during the course of your interview, it will show your interest in the company, your preparation, and place you ahead of other candidates. On the day of your interview, arrive early with a respectful, positive attitude towards your interviewer. The interview will have a formal tone. Dress appropriately, in at least business casual for an entry level position, but a suit for a management position. Show gratitude for the opportunity to attend an Eastern Mountain Sports interview. Afterwards, make sure you ask about the best way to check on your hiring status. Few applicants will land jobs during the interview process, because before the company makes the final decision, they will want to screen all applicants. Jared: Visit the Jared application. Play It Again Sports: Visit the Play It Again Sports application. Lowe’s: Visit the Lowe’s application. Bass Pro Shops: Use the Bass Pro Shops job application to apply here. Sleepy’s: See our guide for careers at Sleepy’s.